Before the year ends, theater fans will be enjoying another Disney hit musical that captured many fans across the globe. If you are a fan of Disney Musicals such as The Cheetah Girls, Hannah Montana and High School Musical, this next Repertory Philippines offering is definitely for you. Camp Rock the Musical is a stage adaptation of the Disney Hit Camp Rock Series. 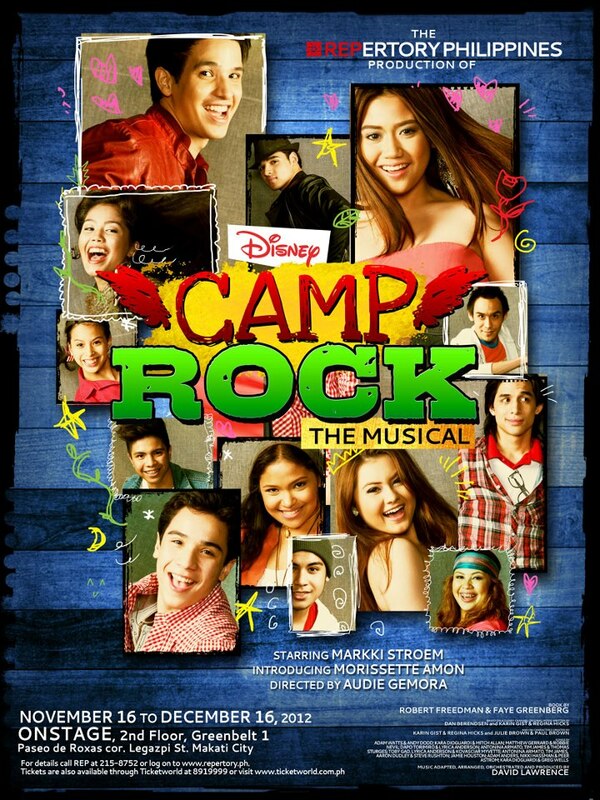 It tells the story of Mitchie Torres (Morisette Amon) and her gang as they spend the whole camp season for another musical filled summer. But everything turns upside down when rival camp, Camp Star threatens Camp Rock's existence. So now Mitchie together with Shane Gray (Markki Stroem), his brothers and the rest of the Campers step up for one final showdown. The battle for the last Camp standing is definitely on! I'm glad that the musical is mostly based on Camp Rock 2. Camp Rock 1 is good but the story is too centered on the romance between Mitchie and Shane. Camp Rock 2 shifted to a more interesting phase as they went on a story driven approach highlighting the whole Camp Rock itself and the new Camp Star. If you like the music of High School Musical and other Disney Channel Musicals, Camp Rock's songs are definitely for you. Among the front liners for the cast includes Markki Stroem (Next to Normal) who's playing Shane Gray, the role played by Joe Jonas on the original movie. Joining him is newcomer Moresette Amon, a rising singer and actress for the role of Mitchie as popularized by the X-Factor judge Demi Lovato. 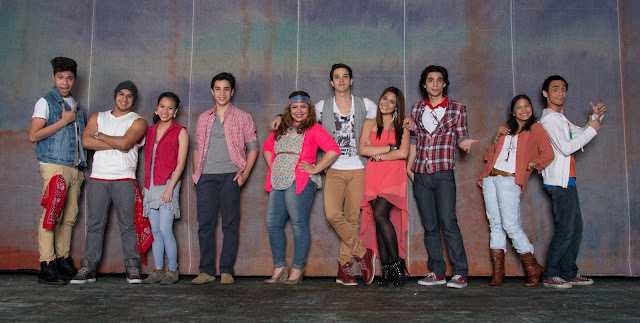 The rest of the cast is joined by Nacho Tambunting, Jef Flores, Cheska Ortega, Justine Peña, Nel Gomez, Cara Barredo, Mica Fajardo, David Shawn Delgado, Kiara Dario, Justin Valiente, Hans Braga, Karyl Factora, Eric Mercado, Rem Zamora and Hans Eckstein. The show will be directed by Audie Gemora who directed High School Musical years ago through Stages.